Knoll Studio There are 14 products. 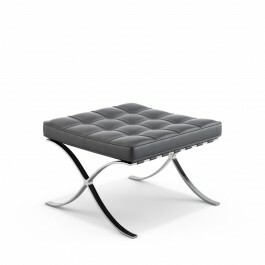 Ludwig Mies van der Rohe ca.1929 Whether placed in front of a Barcelona Chair, or standing alone, the Barcelona Stool exudes a simple elegance that epitomizes Mies van der Rohe's most famous maxim - "less is more. 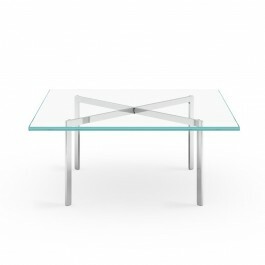 Each Barcelona piece is a tribute to the marriage of modern design and exceptional craftsmanship. 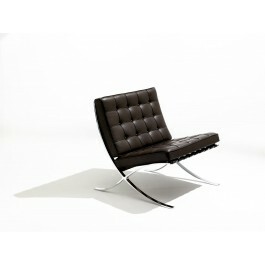 Ludwig Mies van der Rohe ca.1929 One of the most recognized objects of the last century, and an icon of the modern movement, the Barcelona Chair exudes a simple elegance that epitomizes Mies van der Rohe's most famous maxim - "less is more." Each Barcelona piece is a tribute to the marriage of modern design and exceptional craftsmanship. 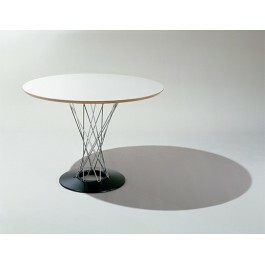 Harry Bertoia 1952 This simple design was the first piece of furniture created by Harry Bertoia for Knoll. 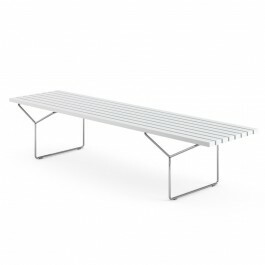 Although the bench does not have the signature wire grid of his more recognizable 1952 collection, the welded wire base shows an early exploration of the material and foreshadows what was to soon follow. Isamu Noguchi 1957 Initially conceived as a rocking stool, Isamu Noguchi’s playful design caught the attention of Hans Knoll who thought it a perfect complement to the Bertoia wire collection. At the suggestion of Hans Knoll, Noguchi adapted the stool into a small table in 1954, and a full size dining table in 1957. 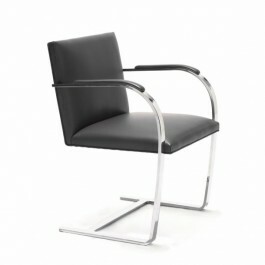 Ludwig Mies van der Rohe 1930 Designed by Mies van der Rohe in 1930 for his renowned Tugendhat House in Brno, Czech Republic, the Brno Chair reflects the groundbreaking simplicity of its original environment. 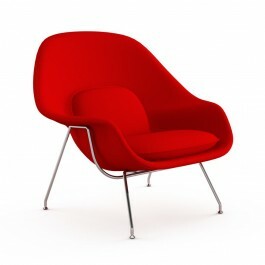 The chair, an icon of 20th-century design, is celebrated for its lean profile, clean lines and exquisite details. Eero Saarinen 1948 Eero Saarinen designed the groundbreaking Womb Chair at Florence Knoll’s request for “a chair that was like a basket full of pillows…something I could really curl up in.” The fiberglass design supported multiple sitting postures and provided a comforting sense of security — hence the name. 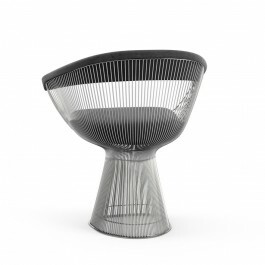 Warren Platner 1966 In 1966, the Platner Collection captured the “decorative, gentle, graceful” shapes that were beginning to infiltrate the modern vocabulary. The iconic pieces are created by welding hundreds of curved steel rods to circular frames, simultaneously serving as structure and ornament.